The Grenada Tourism Authority (GTA) has completed 3 major training programmes geared at improving customer service and experiences in Pure Grenada, the Spice of the Caribbean. The training sessions took place over a 3-day period (10-12 September) at the National Stadium Hospitality Centre. The first initiative was a frontline customer service training workshop facilitated by Aquila Tours Inc. the official training partner of the Florida Caribbean Cruise Association (FCCA). 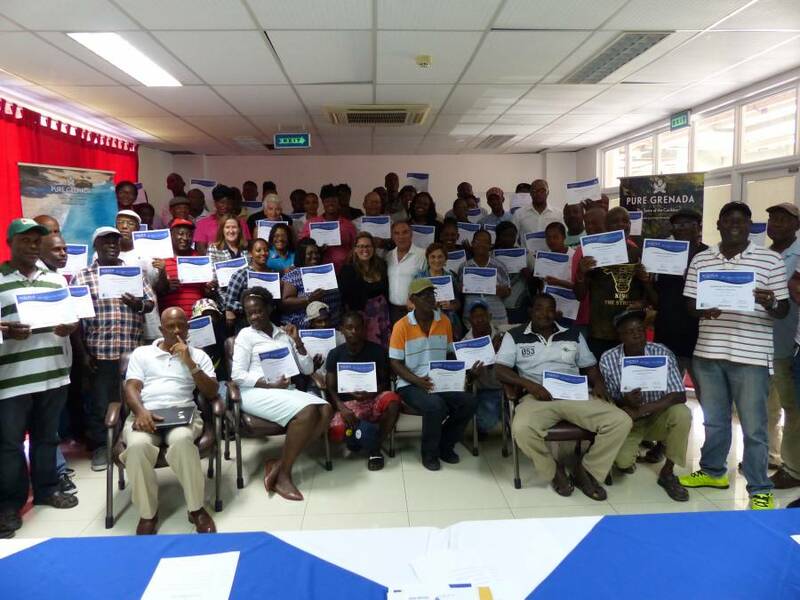 95 people representing frontline tourism organisations including the GTA, Grenada Taxi Association, National Taxi Association, Grenada Watertaxi Association, Royal Grenada Police Force, Esplanade Retail Shops, the Gouyave Nutmeg Processing Station, Grand Anse Vendors Market, Ministry of Tourism Tour Guides and GTA registered tour operators completed the training. The Aquila trainer also held a session with senior tour operators aimed at promoting excellent destination shore experiences. The senior tour operators examined the packaging of tours, adding value, new tour ideas, training of their staff and the elements of making memorable experiences. The final training programme saw close to 60 frontline personnel being trained in introductory Spanish, French, German and Italian delivered by representatives of the Grenada Association of Retired Persons (GARP) and Tropical Charms Tours. Participants learnt basic greetings and other important phrases to assist in a smoother interaction with visitors who speak another language. The training sessions form part of the recommendations coming out of the public/private sector Cruise Guest Experience Project led by Consultant Mico Cascais who was also on island to participate. They also come ahead of the opening of the 2018/2019 Winter cruiseship season which begins with a call from Carnival Breeze on 24 September.